The English Cricket Board have announced a 26-man England Performance squad for 2012. The England selectors have decided to include five new faces for this year. These players are Jonny Bairstow, Jos Buttler, Danny Briggs, Stuart Meaker and Ben Stokes. But there are many questions arising of not including Nottinghamshire's new signing James Taylor, Warwickshire's Chris Woakes and the Irish born Boyd Rankin. I reckon Tom Maynard from Surrey, should be included. He did very well last year averaging 40 in all competitions, County Championship, CB40 and the Friends Life T20 campaign last year. He has also started the year in good touch, staying 86no in the first innings and 47 in the second innings. 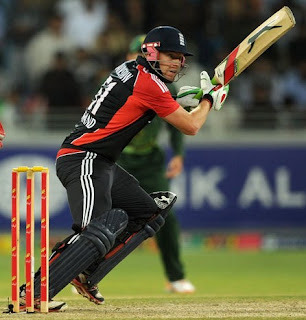 He should be in the T20I and ODI's alongside the young blood such as Buttler, Bairstow, Briggs and also Borthwick. The selectors are allowed to name a total of 30 players. But the selectors have said they will add more players to the EPS later on the summer if there are any stand out performances. Andrew Strauss, Alastair Cook, Stuart Broad, James Anderson, Jonny Bairstow, Ian Bell, Ravi Bopara, Tim Bresnan, Danny Briggs, Jos Buttler, Steven Davies, Jade Dernbach, Steven Finn, Craig Kieswetter, Eoin Morgan, Stuart Meaker, Graham Onions, Monty Panesar, Samit Patel, Kevin Pietersen, Matt Prior, Ben Stokes, Graeme Swann, James Tredwell, Chris Tremlett, Jonathan Trott. This squad includes 13 centrally contracted players, 4 players who have been awarded contracts and 9 players who have been capped at Senior international level.